Successful digital marketers will tell you that successful online publishing hinges on having the right mix of tools. Technology today has afforded numerous publications options making it among the most competitive marketing landscapes. Consumer attention spans continue to become shorter due to the multiple channels of communication. This means that marketers only have a few seconds to capture the interest of the customer. The following hacks will help harness the benefits of online publishing. Go for a publishing system that offers multiple storage solutions. A good system should offer unlimited media. This means that there are no restrictions especially for those who update content on their site regularly. A web publishing system worth its salt should act as the central content management platform. It should allow for uploading of dynamic content including videos or even virtual tours. One of the greatest hurdles when it comes to content is the management. Businesses that churn out volumes of content need a web system that organises the content. For instance, content is put in tags where it can be easily retrieved or sorted. A web publishing system should publish directly to various channels including social media. The publishing is direct from the galleries or through scheduled postings. A scheduled plan is ideal for consistency. It is very cumbersome and time wasting to keep posting content from different channels. The content is also published to other channels such as mobiles or tablet optimised versions. The same is the case when distributing the content to third-party websites. An integrated system comes with all these capabilities. 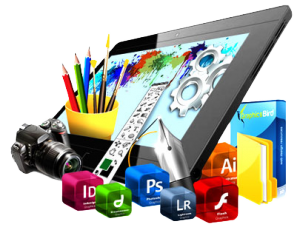 In as much as the web publishing system is integrated, it should also be easy to use. In most cases, there will be changes made as the business grows. In light of this, website owners need to go for a system that can grow with them.